Stanisław Ignacy Witkiewicz (Witkacy) - a writer, playwright, poet, painter, photographer, philosopher and an art theoretician. Witkacy was a visionary ahead of his times, and yet a concretely pungent prankster, whose cutting-egde judgement and catastrophic prophesies allow new generations to rediscover his work time and again. One of the few Polish artists whose significance for world art history endures the test of time. Stanisław Ignacy Witkiewicz, aka Witkacy, was born on the 24th of February, 1885 in Warsaw and died by commiting suicide upon learning of the Red Army’s attack on Poland, on the 18th of September, 1939 in the village of Jeziory, Polesie region (present-day Ukraine). The accomplishments of his life’s 54 years could well be distributed among several hard-working biographies. Witkacy has become a classic in front of our eyes, one of the most frequently translated Polish authors, and his texts have been transcribed into more than 30 languages and released in countries across Europe, South America, as well as the United States and Japan. 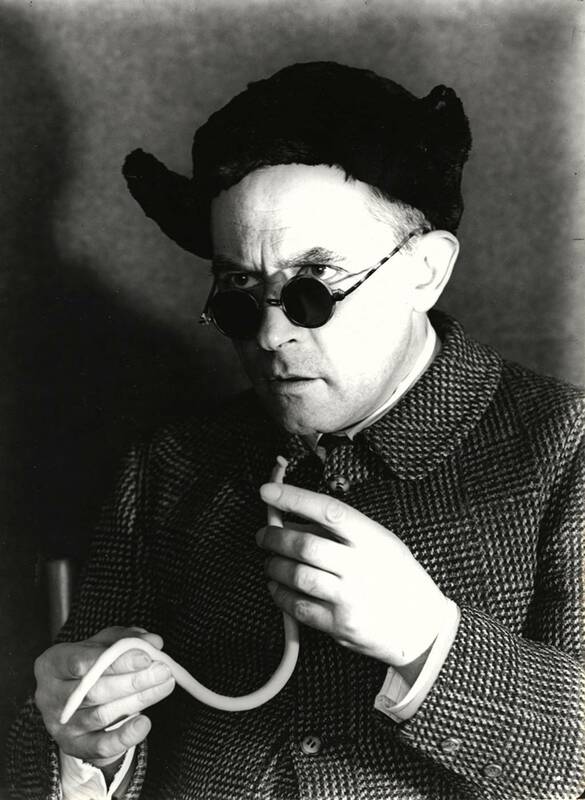 Witkacy is also the most frequently performed Polish playwright of the global theatre scene. Witkiewicz was a catastrophist, gifted like Orwell - both the Orwell of Animal Farm and the Orwell of 1984 - with stunning clarity and acute vision. He had said that civilisations of the equal, satiated and automatised will be threatened not only by the pressure of ‘annihilators’ from the East, Asia and Africa, but also by the fact that mechanicised civilisations are frail and prone to insanity, and helpless in the face of madmen and psychopaths. In a world that has become a global village, madness is contagious and common. In this great village, where everything happens at once, everything has suddenly become possible. The father of the artist, Stanislaw Witkiewicz of the Nieczuja coat of arms was an acknowledged critic, writer, painter and architect, and the creator of the so-called Zakopane style. The mother, Maria nee Pietrzkiewicz, of the Ostoja coat of arms, was a music teacher. Litte Staś spent the first years of his life in Warsaw. The father’s lung infection made the whole family move to Zakopane in 1890, and there, on the 27th of January, 1891, at nearly 6 years of age, Stanisław Ignacy was baptised. His godparents were Helena Modrzejewska, Poland’s most famous actress of the day, and the mountaineer story teller and bard Jan Krzeptowski-Sabała. Stanisław senior was a heated opponent of the schooling system which he thought abolished the students’ individuality, and he thus took charge of his son’s education himself. He organised private classes for him, often taught by university professors and prominent artists. He supported the boy’s own choices of what interested him. The young Witkiewicz had an absorbent mind and showed a variety of talents. As early as 1893, the eight year old Staś printed his first series of short drama pieces on a little printing press at home. He was interested in painting, photography, music, science, and philosophy. Starting in 1900, he spent four vacation seasons with his aunt in Syłgudyszki, Lithuania. Together, they toured around Petersburg, where he painted and took photographs. Two landscapes painted by Stanisław Ignacy in Lithuania made it to the Painting and Sculpture Exhibition held in Zakopane in 1901. In 1902, at the age of 17, he put his philosophical essays together into a collection entitled Marzenia improduktywa (The Dreams of an Improductionist). In 1903, Witkiewicz passed and external baccalaurate exam in Lviv. He made his first friendships around this time, with people such as Leon Chwistek a painter and mathematician and a professor at the Lviv University, as well as with Tadeusz Szymberski, a Młoda Polska poet, Tadeusz Langier, a photographer, and Bronisław Malinowski, the anthropologist-to-be. In 1904, Witkacy travelled to Italy through Vienna and Munich, visiting nearly every art gallery he found on his way. A year later, against his father’s advice, he took up studies at the Krakow Academy of Fine Arts, in the studios of Jan Stanisławski and Józef Mehoffer. He travelled to Italy once again, in the company of Karol Szymanowski. A trip to Paris in 1908, numerous museum visits, and witnessing the 24th Salon of the Independent acquainted Wikiewicz with the newest trends in European painting. Under their influence, he parted with landscape painting and created some of his first "monsters" and portraits. That same year, the artists’ father left Poland to continue his cure in Lovrana on the Istria peninsula (nowadays Croatia), from where he would never return to Poland. At the time, Stanisław Ignacy was going through a tumultous relationship with the prominent actress Irena Solska. Her distinct figure finds a double in Witkacy’s first novel, entitled The 622 Falls of Bungo, or the Demonic Woman. Witkiewicz traveled to see his father in Lovrana several times. In May 1911, passing through Berlin and Koln, he revisited Paris, where he saw the first cubist works. In Britanny he stayed with the painter Władysław Ślewiński, and in July, he visited Bronisław Malinowski in London. Throughout the years 1912-13, Witkiewicz underwent a form of psychoanalysis, conducted by the pioneer Karol de Beaurain, who "forced the idea of an embryo complex" upon him and whom he nonetheless cherished and appreciated. At this time, in one of the letters to his friend Helena Czerwijowska, he signed himself as Wiktacy for the very first time, symbolically freeing himself from the artistic care - and tyranny - of his father. He also began exhibiting in Kraków, Zakopane, and Warsaw. Death is the only thing I desire, in order not to suffer and not to feel the terrible weight of life and dragging myself on after dying alive. I wish to have a portion of potassium cyanide in order to be a master of my own life at each instant. Witkacy was torn from his deep depression by the proposal from Bronisław Malinowski, who offered that he take part in a scientific expedition to Papua New Guinea. Witkacy was supposed to take part in it as a photographer and illustrator, in order to document subsequent phases of the research. On their journey, they stopped in Ceylon and in July 1914 they arrived in Australia, where they learned about the outbreak of the first World War. The journey did not fix Witkacy’s depressive state. After a conflict with Malinowski, he decided to return to Europe. He believed that in the context of a new armed conflict, Poles ought to fight for their independce by supporting the Slavic, and not the German side. He travelled to Petersburg via Odessa. It was in Russia that Witkacy would get the first chance glimpse of the 20th century (...) He signs up to the army, he is Russian subject and considers it his duty. He completes the Tsar officers’ school, and, thanks to the protection of his uncle, he makes it to the Life-Guards’ Pavlovsky Regiment, all buzzing with ‘white’ aristocracy. The atmosphere there, the inebriate wildness, the orgies, the whole après nous le déluge, the grand Russian decadence – whose scale and atmosphere we remain ignorant of in Poland – will make and deep and irretriavable mark on all of his following works. Witkiewicz went through an accelarated officers’ training and in September 1915, he was sent to the front line a cadet. He became a commander of the fourth military unit, and, in recognition of his merits, in July 1916, he was nominated as the ensign of the elite Life-Guards’ Pavlovsky Regiment. That same month, Witkacy was seriously wounded during a battle by the Vitonezh village in the West of Ukraine. Among his opponents in the battle were the Polish Legions conducted by Józef Piłsudski. Witkacy never returned to the front after the injury. He was dismissed from the army towards the end of 1917, and witnesseds the October Revolution. According to some scholars, Witkacy took part in the revolution and was even appointed a political commissary by soldiers, but evidence for this is missing. Witkacy himself was always secretive about his Russian experiences and only mentioned at times that he was the only regiment officer who didn’t punish subordinates physically. In June 1918, he got away from a revolution-struck Russia, and returned to Zakopane. The experience of bolshevism in Russia, together with the rapid outburst of nazi ideology in Germany cemented his extremely pessimistic ideas about history’s blind course. Somewhere at the base of his existence, at a time when I still knew him, some disaster must have occured, some breakdown or a terrifying illumination with the oddity and strangeness of being, that would never allow him to regain any peace. And everything that he later attempted to achieve with his thought was meant to somehow make this oddity more habitual, to somehow plead with this amazement and the radical hostility of existence towards the human being, to make life possible in a fundamentally hostile world. Thanks to the compositions and portraits brought from Russia, Witkacy was accepted into the Formists’ group, with whom he organised a couple of displays, mainly at the Towarzystwo Przyjaciół Sztuk Pięknych (Friends of the Fine Arts Society) in Kraków, but also in Warsaw, Lviv, Poznan and Zakopane. He became the main ideologist of the Formists. Already during his stay in Russia, he began working on a philosophical and aesthetic system, and the results of this work were announced in a book entitled Nowe formy w malarstwie i wynikające stąd nieporozumienia (New Forms in Painting and the Misunderstandings Rising Hither From). A more fertile period begins in the life of Witkiewicz. He publishes Szkice estetyczne (Aesthetic Sketches) and Teatr. Wstęp do teorii Czystej Formy w teatrze (Theatre. Introduction to the Theory of Pure Form in Theatre), with the vision of a "madman’s brain on stage". He writes about 40 plays, (publishing only 5 of them) which premiere in Kraków, Warsaw, Toruń and Łódź. His pieces were one big mocking of the currently present convention of operetta, melodramas and farse, which flooded the Polish theatre stages of the interwar period. On the 23rd of April, 1923, Witkacy marries Jadwiga nee Unrug, the granddaughter of Juliusz Kossak. The couple’s life in Zakopane, where they stayed in a pension-house ran by Witkacy’s mother, was filled with conflicts, resulting in Jadwiga moving to Warsaw. The failed marriage gradually turned into a real friendship, they often visited each other, and Witkacy’s preserved collection of letters to his wife counts some 1300 items. Around the year 1925, Witkacy quit painting with oils on canvas, and founded the S.I. Witkiewicz Portrait Firm, which became his main source of income. (he wrote "For a 100 zloty I will make a full-figure portrait. Penury and creativity end, and so does life.") A customer had to abide by the Book of Rules, the last of which stated "Misunderstandings are out the question." Over a period of twelve years, Witkacy drew thousands of portraits. But not everyone was admitted the honour of portrayal. Some requests were rejected with a merciless "I don’t see the reason!" In literature, Witkacy quit the play in favor of the novel, which prooved useful for expressing his ideas. Still, he did not treat the novel as a work of Pure Form, which had to consist of a basic artistic element, directly evocative of metaphysical feelings. His first published novel was entitled Farewell to Autumn, which was released in 1927. Three years later, he published Nienasycenie (Insatiability). In 1929, Witkacy became emotionally involved with Czesława Oknińska-Korzeniowska. After the death of his own mother in 1931, Witkacy moved to the Witkiewiczówka cottage in Antałówka, where he rented a room from his own aunt, the father’s sister Maria Witkiewicz . Between 1931-1932 Witkacy writes his last novel, Jedyne wyjście (The Only Way Out), which gets released long after his death, in 1968. He becomes growingly devoted to philosophy. In the 1935 treatise Pojęcia i twierdzenia implikowane przez pojęcie istnienia (Ideas and Theses Implied by the Idea of Existence) he lays out the basics of his system of thought, one which is preoccupied with ontology and which he monikered a biological monadism. He also publishes a book about intoxicants, known under the title Narcotics. In 1935, he is honoured with the Golden Laur of the Polish Academy of Literature for his accomplishments as a writer and playwright. One year later he writes the Unwashed Souls, which are released in fragments. He devotes the last years of his life to philosophy. He published articles, argues with the ideas of contemporary philosophers, he writes his so-called mainie (główniak), called Zagadnienie psychofizyczne (A psycho-physical issue), he warns that "the vanishing of metaphysical feelings leads to the obtrusiveness of artistic forms, which is the end of art in itself on our planet." In September, 1936, he gives a lecture at the Philosophical Congress in Kraków. A year later, he hosts the German philosopher, and a friend, Hans Cornelius. In the 1930s, Witkacy gets to know important writers of the time, Zofia Nałkowska, Witold Gombrowicz and Bruno Schulz, whose writing he valued dearly. He published articles and reviews in the press, and lectured as part of the Literary and Scientific Courses series, of which he was also the co-orgniser. A world catastrophe is drawing near. Whether we can still find ourselves after it is doubtful. In 1938, Witkacy wrote a play (nowadays lost), entitled Tak zwana ludzkość w obłędzie (So-called Humanity Gone Insane), featuring the soaring phantom of an inevitable catastrophe. He sensed it clearly, and this made him deeply depressed for a long period of time. At the outbreak of the Second World War, Witkacy was in Warsaw, and he signed up for the army, but was denied admission because of his age and poor health. Nothing is as irritating as the talk of various ‘shallowers’ (…), that (...) it’s all the same, there is always power, and Stalin and Lenin are the same thing as William II, and that he in turn is the same as Napoleon, Louis XIV, Cesar and Alexander the Great. These people don’t see the complete shifting of human types and classes in given social positions throughout history, they see instead trivial and superficial analogies which are totally invalid. On the 5th of September, 1939, Witkacy sets out to the East, together with Czesława Oknińska. The pair of runaways arrived in the village of Jeziory in Polesie, where, on the 18th of September, upon hearing the news of the Red Army’s invasion of Poland, they attempted to take their lives. In spite of taking a large dose of luminal, Oknińska survived. Stanisław Ignacy Witkiewicz was buried in the rural cemetery in Jeziory. It should suffice for us, that a man of his format appeared in Poland, a man who, in spite of his oddities and artistic failures nonetheless stood immesurably higher that most of his contemporaries. The quarrels and polemics of inter-war Poland seem quite petty when juxtaposed with what Witkiewicz sought after. Half a century ago, Konstatny Puzyna foresaw that Witkacy would ‘feed’ a couple more generations of scholars. His oeuvre is drawn upon unceasingly by theatre scholars, art historians, Polish literary specialists, and philosophers. Theoreticians are followed by practicioners – authors and artists: painters, photographers, filmmakers, performance artists, actors, directors, writers, playwrights. He inspires both the scandalous and the contained, disciplined minds. He was beautiful. Tall, well-built, with dark hair and a dark, seemingly brooding face, which got suddenly lit up with very light blue eyes. He had a poignant gaze, a steel one. He came to Łódź, because we were meant to perform his play 'Persy Zwierżątkowskaja'. It was a pre-premiere, after the Madman and the Nun, and Jan Maciej Karol Wścieklica. And once again, a surprise. Stanisław Ignacy Witkiewicz was incredibly modest. He did not believe in success, nor was he convinced of the exceptional quality of his play. He came to the last rehearsals. I suppose it is needless to add that the play was shocking for us every possible way. The content? Today I don’t attempt to describe it, I simply don’t remember. But I clearly remember the words with which Witkiewicz responded to our pressing questions: ‘There are three basic motors of all human activity: money, women, and power’. Each of the three acts corresponded with one of these affairs. But in the end, it was money that won. A modest Witkacy? That is a surprising image, given the widely spread news of a scandalising artist and a figure that shocked everyone with his unconventional behaviour. But as a responsible artist he respected other people’s efforts, and the artists of the stage who searched for means of expression. 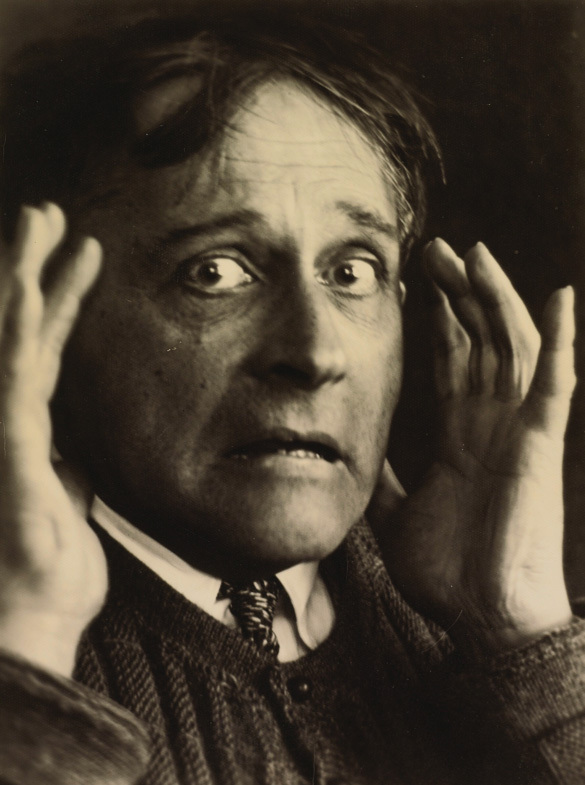 When it came to our acting, Witkiewicz had no objections and he made no remarks. He said that he liked everything from beginning to end. The better the author, the more he values an actors work, it’s a known fact. Witkiewicz not only respected us, but also gave us the proof of his incredible sympathy and gratitude. He promised each of performing actors, of which we were about ten, a portrait. Of course, on condition that we came to Zakopane, where he was living at the time. (…) He was supposed to paint my portrait, unfortunately on the day of our appointment he went off into the mountains, and the next day I had to leave Zakopane. He ran up to our pension, up to the third floor on some ladder-like stairs, and heartfully apologised to me, such a stripling, for the commited faux-pas. He was capable of that. There were three of us, Witkiewicz, Bruno Schulz and myself, the three musketeers of the Polish avant-garde in the inter-war period. As it now turns out, this avant-garde was not all that ethereal. And, as may seem proper for a true avant-garde artist, he was not understood during his life. Witkacy seemed to me a very strong personality, even a crushing one, a great mind, albeit a gloomy and disturbing one, an artist of excellent talents, but somehow touched by perversion, or a manner that made him more repelling than attractive, both in personal contact and in what he wrote. But after the years that have passed, it looks as if the spirit of the times is becoming more and more akin to this tragic spirit. It must be admitted that he was ahead of his own time and that time is only catching up with him now. Few of the works written by Witkacy came out during his life time. Only two novels and six plays, including two acts of Straszliwy wychowawca (The Terrible Educator). A huge portion of the rich oeuvre of Witkacy, (who wrote 43 plays), has, unfortunately, perished. 22 of the plays have been preserved in their entirety, and the Crazy Locomotive survived not in the original but in the French translation by Jadwiga Strzałkowska. Stanisław Ignacy Witkiewicz’s texts were ahead of his time. They still inspire theatre. His catastrophic dramaturgy formed the base of theatre repertoires in Poland in the 1690s and 70s, as well as during the critical 80s. The equivocal works were filled with prickingly intelligent latent allusions, with phrases and observations that prooved very useful in pinching the little loved authorities. The modified political scene of today, and the changed socio-economic situtation in Poland has perhaps made Witkacy less provocative and irritating. Of course, only based on the assumption that the audience awaits something more that easy political allusion - which for Witkacy was merely a spring board for broader reflection. His observations on the meaning and condition of an artist and a creator still remain valid in our time, when art is shoved into the margins of reality. Witkacy is one of those playwrights who speaks to us with a language that is fully comprehensible today. His plays don’t endure an excess of form, a fact which seems clear to all but those who actually stage them. As writer and playwright Witkacy devoted most of his attention to the spiritual transformations of man, to his loss of individual features in favor of melting into a crowd of similiar units, growingly specialised in an automatised and intelectually sterilising work. He presented the nightmare of a nearing future with hives of "mechanicised representatives of happy humanity". The new type of society, made up of lost, and mutually estranged "Particular Existences"
Was it thus ‘obsession’ with solitude, a lone voice crying in the dessert? No – it was the claiming of a factual state. A state which would not create residue of bitter sorrow. But he would not be a Witkiewicz, if he gave up. ‘It is better to finish in beautiful madness than in a grey, boring banality and impotence.’ This ‘beautiful madness’ is ‘Narcotics’ and ‘Unwashed Souls’, the last attempt at reaching the society that he used to defend himself against in his youth. Stanisław Ignacy Witkiewicz constituted the most astonishing and universal artistic personality in Poland of the first half of the 20th century. Although during his life he was the object of heated disputes due to his original ideas and unconventional life style, his contemporaries failed to appreciate the permanent value of his works, and he gained true recognition after his death - first in Poland, after the liberasation of 1956, and in the subsequent decades, in Europe and America. The common reception of Witkacy makes him into a scandalist, alcoholic, drug addict and pornographer, which is an oversimplification and misses the truth. He was indeed a persistently curious researcher of the extreme experiences, but he did it for cognitive reasons. Thus, in order to avoid addiction, his narcotic seances took place under strict medical supervision. The equally famous orgies or papojkas, hid under their scandalous names literary and philosophical disputes in a selected company of friends. Mysterious symbols that are inscribed onto the pastel portraits are signs of the substance used by the artist prior to working, but, apart from singular cases of intoxication, they most often indicate drinking tea, coffee, and at times even abstinence from alcohol and nicotine. With the drawings, Witkiewicz junior not only repaired his budget but also supported his mother’s falling pension house and regularly sent money to his wife in Warsaw. 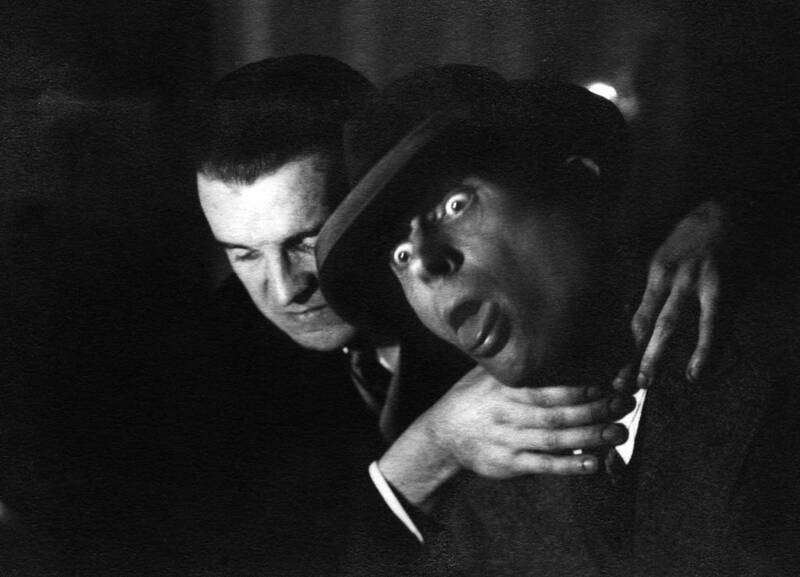 The sinister faces of Witkcy that can be seen on his photographs are therefore only a mask, a show that hides the nature of an honest and sensitive man that he really was. Witkacy was lonesome because he was not understood by his contemporaries. Decades had to pass for progeny to appreciate the accuracy of his catastrophic visions. He depicted a shocking world of the future, which resembles the world of today. Author: Janusz R. Kowalczyk, September, 2013. Apokalipsa Witkacego, (Witkacy's Apocalypse) documentary, dir. Stanisław Trzaska,1988 "